As a baby boomer you have different expectations than your parents. You exercise, travel, socialise, play with grandchildren. You may choose to keep working past “retirement age”. You may be adventurous and physical in a way that you didn’t have time for before. So you want to keep moving comfortably and freely. You want to maintain good balance and suppleness. You want to be able to get down to the floor, lift, run – in other words, do all of the activities that you were able to do when you were young. Only in a more considered and intelligent way – perhaps a little slower, but no less elegant. Feldenkrais lessons will help you rediscover your youthful ability by unravelling old movement habits. 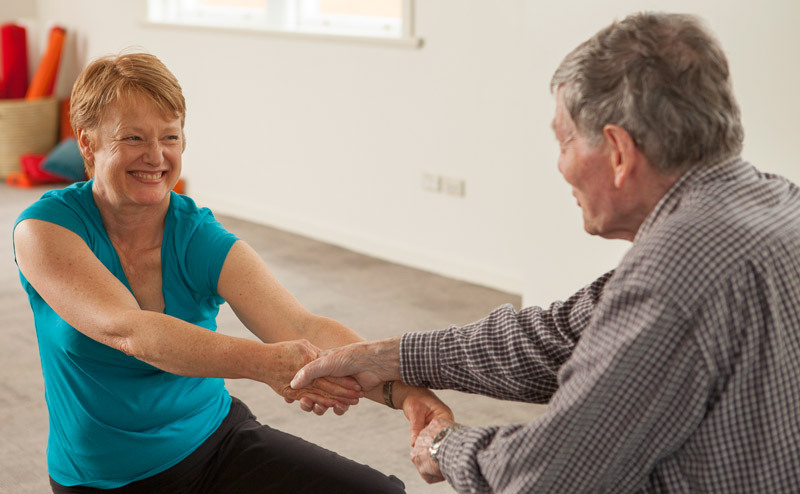 It will give you the practical understanding of how to learn to maintain dynamic, flexible and comfortable movement - reversing the downward spiral that people commonly expect from ageing.